With more than a dozen suppliers offering units, the 60,000- to 80,000-pound segment of the crawler excavator market has no shortage of model choices—and scenarios to ponder during the buying decision. Yengst says Caterpillar, John Deere, and Komatsu are the top three suppliers, in order. Corey Rogers, marketing manager for Hyundai, digs even deeper into the numbers. “Several of the largest statewide excavator markets saw significantly more growth—as much as 75 percent,” Rogers says. “Texas alone accounts for about 25 percent of the domestic market for 28- to 40-ton excavators. The oil and gas industry drives a big part of the overall growth. “Looking at other SIC industry codes, we find concentrated sales of excavators in this weight class among contractors engaged in general excavation/site prep, water and sewer pipelines, highway and street construction, and underground utilities,” Rogers says. With all the possible applications and manufacturers’ model choices available to managers, having a game plan before buying is essential. “First of all, it’s important to have a good, trusting relationship with your dealer and their professional sales staff,” Rogers says. “A reliable dealer will help make sure you’re getting the right machine at the right price for the jobs you need to do. Also, consider the opinions of your experienced operators who are out there using this equipment every day. Industry veteran George Lumpkins, GM of marketing for Kobelco, suggests paying close attention to state regulations. “What are your local state trucking regulations and/or adjoining states regulations? For example, you might be able to easily transport an 82,000-pound machine in your state, but the adjoining state’s regulations would require you to travel several hundred miles out of your way and need special permits. This point is increasing in importance because of the older bridges in our country,” Lumpkins says. Also, know how your excavator is configured, and how it comes apart. 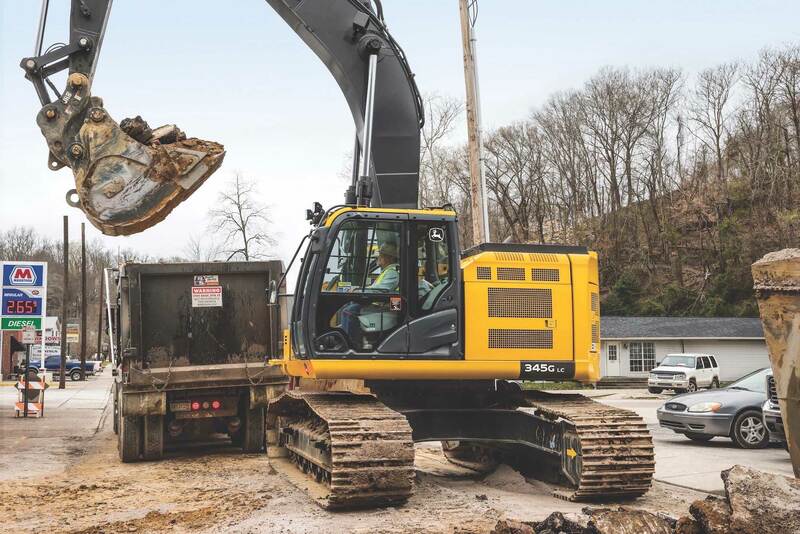 “As you move up toward the 30-ton class of excavator, you need to consider such things as how much disassembly is required to meet size restrictions for transportation,” says Michael Watt, excavator product manager for LiuGong. The ability to switch attachments is important, as well. “An operator or fleet manager thinking about purchasing machines in this range should consider how easily they can switch buckets and other attachments,” Kim says. In addition to the many model choices and options available, one trend buyers have no doubt noticed in recent years is the plethora of operating modes available to their operators. 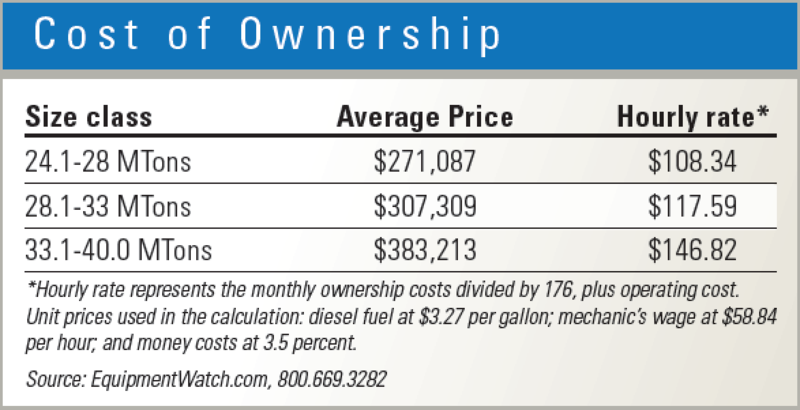 Though managers preach fuel savings to their superintendents, operators on the ground often run machines at the full power setting when they don’t need to. Construction Equipment asked OEM experts how to convince operators to power down and still achieve the results they want out of their investment. “A common misconception is that running at full throttle, or using the most power available, is the best way to be more productive,” Kim says. “We’ve found one of the best ways to increase the use of work modes is to let operators and managers see the difference for themselves by attending our Eco Operator Training classes. “These classes take place at the customer’s facility and usually require two days. Operators learn the best techniques on how to maneuver and run equipment to lower fuel and maintenance costs, and to improve all-around efficiency,” Kim continues. “During the class, operators experience loading dirt at full throttle versus a lower rpm. The amount is then weighed so they can see the improved accuracy loading at a lower rpm provides. Similarly, operators may be asked to level a pile of gravel or dirt within a 10x10-foot area at full throttle and then again at a lower rpm. “While the full throttle can be faster, those in the class will see that speed usually means less control, less productivity, and more mistakes,” Kim says. There is also a follow up session to the class to check in-field results on fuel consumption, wear, and productivity. More than one manufacturer mentioned telematics as a way to show operators the differences in settings.